League Of Legends Lunar Revel Skins: Warwick And Nasus For Year Of The Dog? With the Preseason almost over, it’s time for League Of Legends Lunar Revel. The game’s annual event celebrates and brings new skins, game modes and whatever weirdness Riot Games has been cooking up behind the scenes. A teaser for the event has popped up on the League Facebook page and showed a giant door, some blinding light and an infinite void of possibilities. Underneath the video is the caption: “The realm is safe as long as we stand. The immovable titan, the vicious beast, and I—the light of the new year." Guessing what these skins could be is what I love to do most. This Chinese New Year is the Year Of The Dog, meaning that the MOBA’s most canine acolytes will most likely receive new duds. The “vicious beast” has to be Warwick, the angry mongrel who’s rework turned him into a Soraka stabbing monster into a Hextech abomination. The “immovable titan” is a bit harder to guess, but I say it’s going to be Nasus. The jackal-headed brute that can gain infinite power depending on the length of the match has remained relatively unpopular in Season 8, but a new skin should bring him back to the forefront of battle. “The light of the new year” is the hardest to guess. 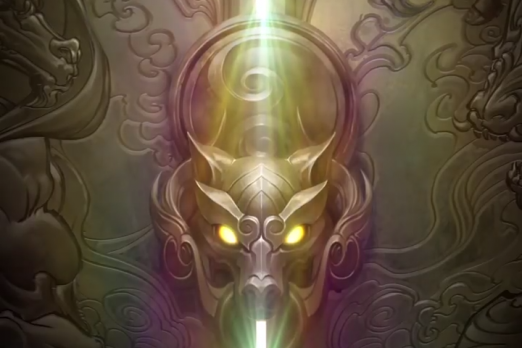 The teaser shows a door with a dragon’s face opening up, filling the screen with light. The only beast that can really fit this description is Aurelion Sol, who is long overdue for a skin. He’s been naked since his release, only having one skin for nearly two years. If Riot Games is finally going to give the dragon another skin, the Lunar Revel is a perfect time. Dog-faced dragons are common in Chinese lore, maybe something along the lines of the Chinese guard lions. We will know for sure what skins are coming on Tuesday, when the 8.2 patch hits the League Of Legends PBE.